A while after joining Baskonia, Pablo Prigioni, 39, announced his retirement through his twitter account! “I never dreamed of the day when I had to announce that I would stop playing basketball. It’s because I do not know what the ideal way to do so would be. The truth is that I had very clear signals from my body and my head, indicating that the time had come to leave. I pay attention to these signs and make this decision without hesitation. As I always did during my career. When I had to make a decision, I have always been 100% convinced. My head and my body are completely in agreement that it is the moment I withdraw from the professional basketball. As an Argentian song goes, “everything ends in order, everything ends”. 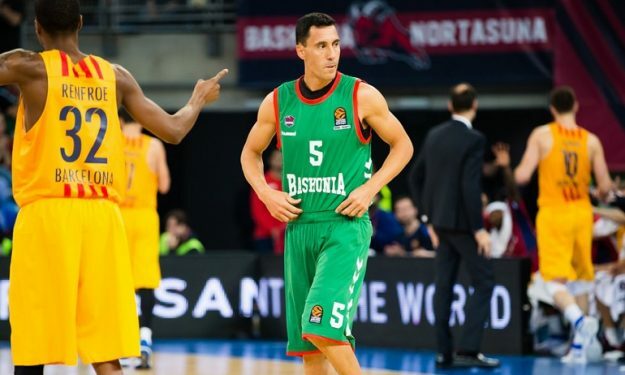 Prigioni has had a prosperous career both in Europe (Baskonia, Real Madrid, Fuenlabrada), as well as the NBA (New York Knicks, Houston Rockets, Los Angeles Clippers) and was a member of the Argentinean national team for several years. Prigioni managed to appear in three Turkish Airlines EuroLeague games in this, his third stint with the Baskonia. He had just played his best game with 6 rebounds and 2 steals in a 102-70 blowout of Unics Kazan. Prigioni retires ranked fifth in assists in the EuroLeague’s all-time list (804) and is third in steals (322).